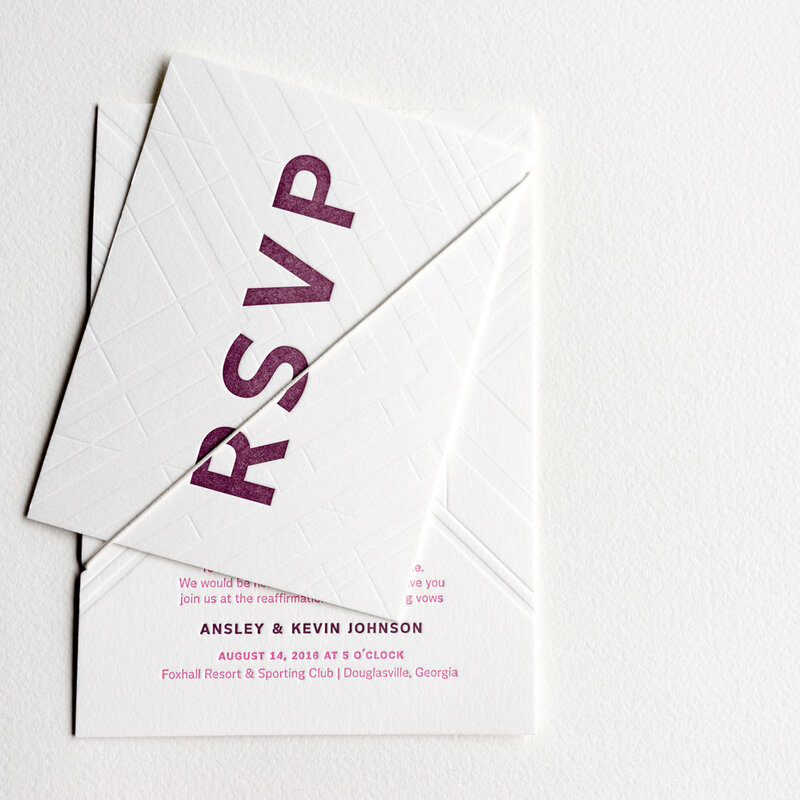 This bold and playful letterpress wedding invitation is modern, timeless & bold. Bold and bright printing is playful, romantic and makes a beautiful suite. The perfect statement, for a stylish affair anytime of year. Save-the-Date shown is flatprinted. All of our Wedding Suites are fully customizable at no extra charge. Pricing only changes if we add additional ink colors or custom illustrations to a piece.